A spectacular design illustrating the skyline of Vietnam's capìtal. 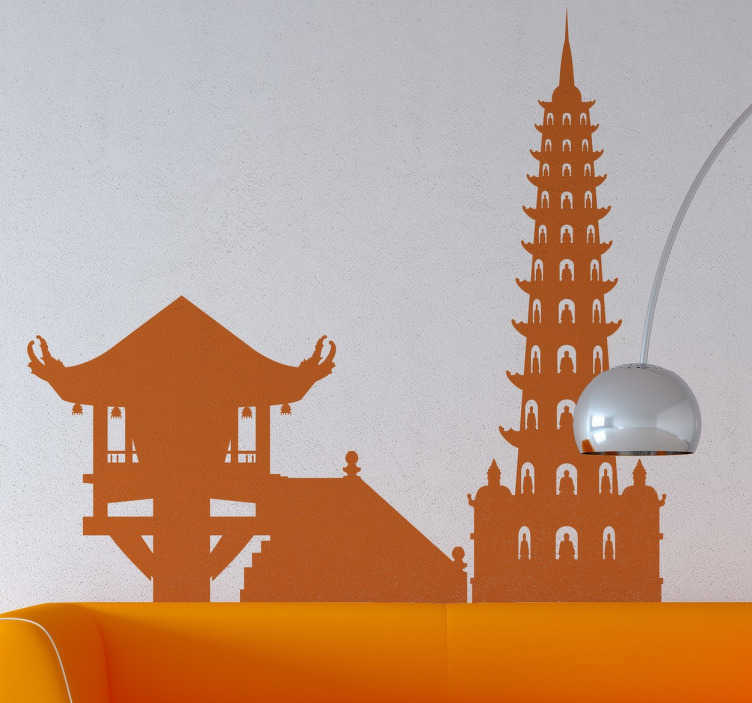 This skyline decal is ideal for those that love architecture and rich cultures. A magnificent sticker to make your home a place where you want to be. Get rid of those empty walls and personalise them with this wonderful sticker. Give your home a pleasant atmosphere and a stylish appearance. This skyline design of Hanoi is customisable in colour and size. Made from high quality vinyl, easy to apply and remove.